While this is a compensated campaign in collaboration with Tropicana and Megan Media, all opinions expressed are my own. I absolutely love entertaining in my home. 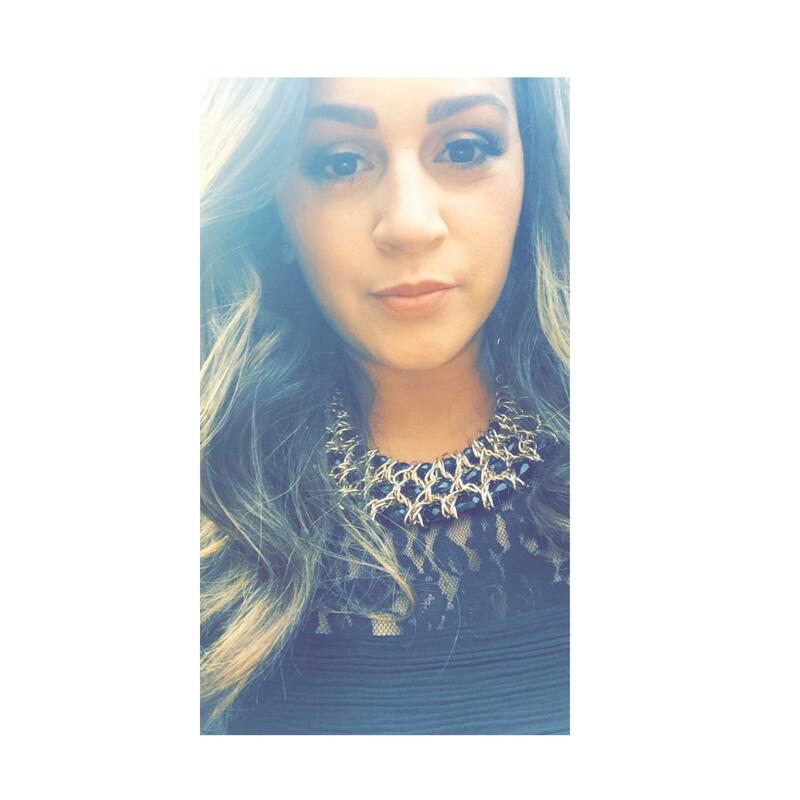 You have complete freedom over all the courses served including my favorite part of every get together – the cocktails! I have come up with an incredible drink that is sure to be a hit with all of your guests and that will give your next party an extra KICK of flavor. 1. 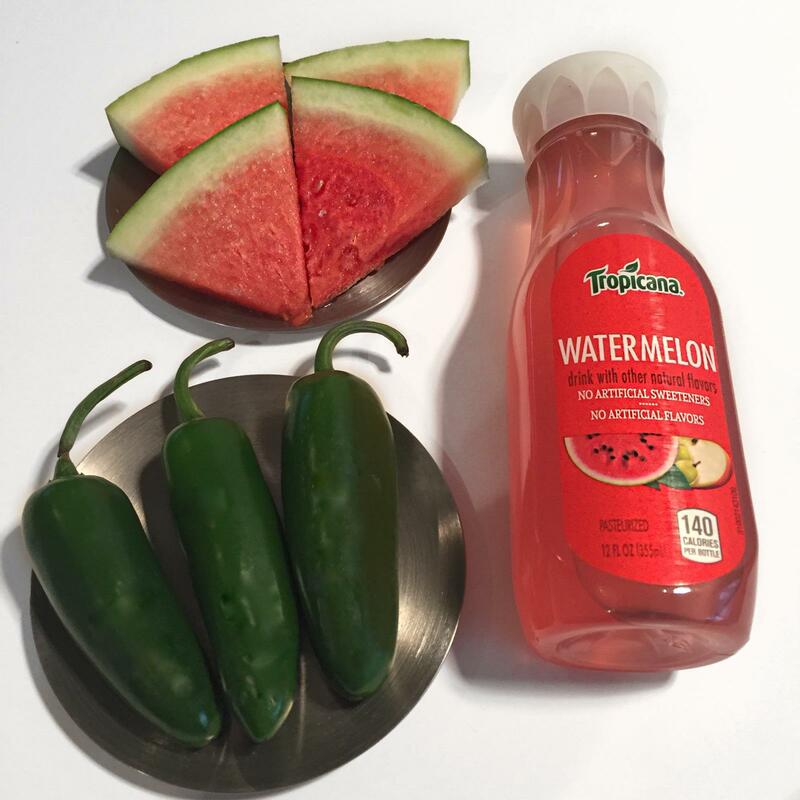 Start off by slicing the jalapeño and watermelon. 2. 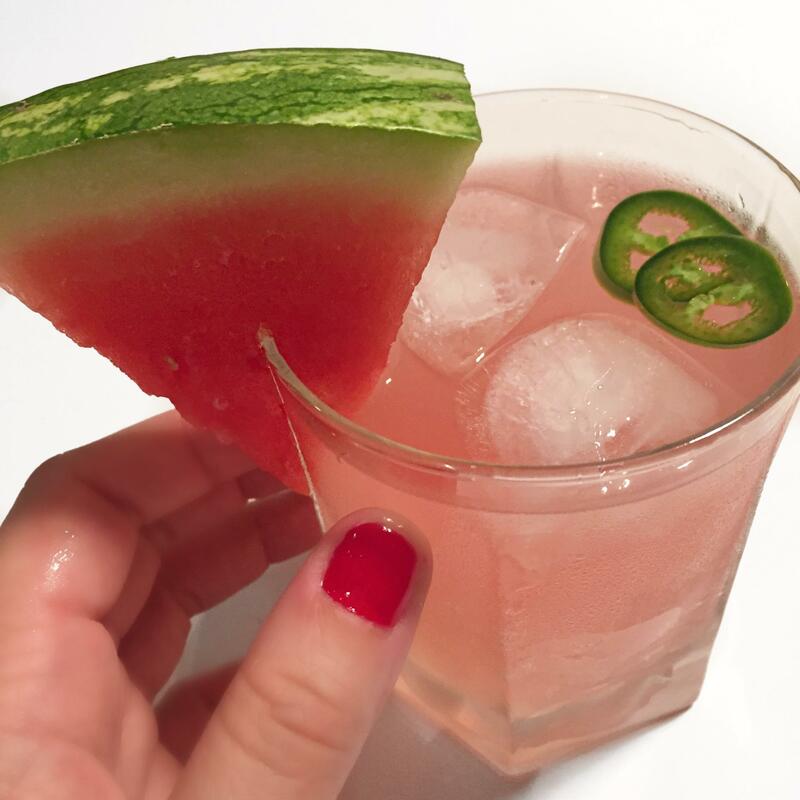 Take your shaker, fill with ice and pour in 3 oz of vodka (1 shot = 1.5 oz) + 6 oz of Tropicana Watermelon and add 2 jalapeño slices. If you want it EXTRA spicy, toss in another slice for good measure. 4. Open shaker and pour contents into cocktail glass of your choice. 5. 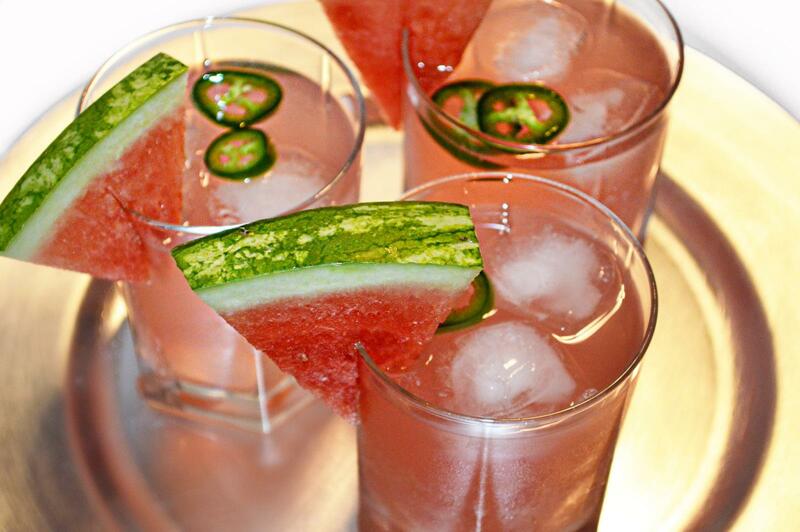 Finish by adding a watermelon wedge as a garnish. 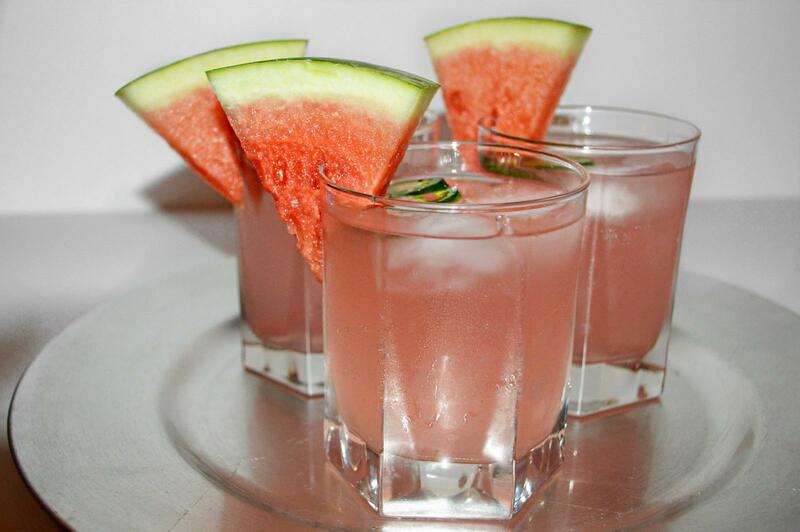 This is one of my favorite drinks to make for a Girls Night IN! It almost makes you feel like you are out at a fancy lounge since it’s definitely not your typical basic drink you would serve at home. Not only is it super simple to make but it isn’t overly sweet and the jalapeño gives it the perfect spicy kick. 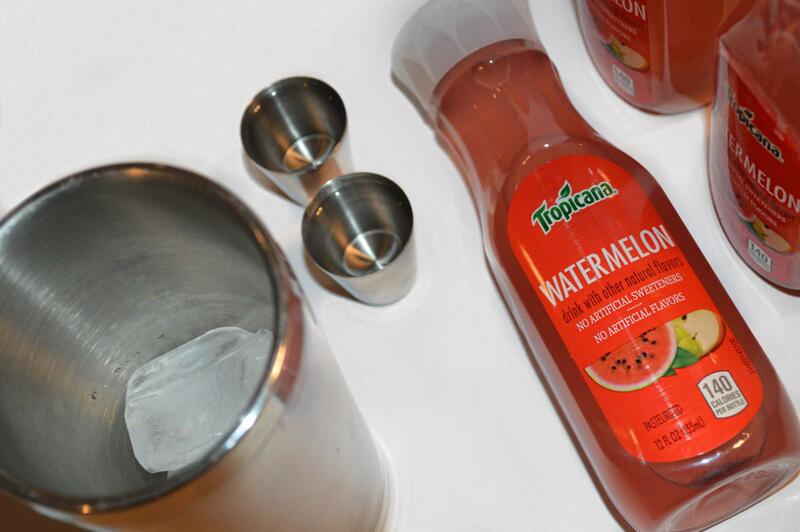 I love that the Tropicana Watermelon doesn’t contain artificial sweeteners or flavors and it’s actually super delicious by itself but using it as a cocktail mixer turns it up a notch. Do you enjoy at-home mixology? If so – this is the perfect cocktail for your next get together! While this was a compensated campaign in collaboration with Tropicana and Megan Media, all opinions expressed were my own.